An academic at an Australian university has been prevented by Chinese authorities from returning to Sydney because he's suspected of endangering national security, his lawyer said Sunday. Border officials at an airport in the southern city of Guangzhou refused to let Feng Chongyi, an associate professor at the University of Technology Sydney, catch his flight home on Friday and Saturday, according to Feng's lawyer, Chen Jinxue. "He has no way of leaving China right now," Chen said. Officials have not said why they suspect Feng of "endangering national security," Chen said, but it could be related to his research on human rights lawyers. Feng had been wrapping up a three-week trip researching that topic. State security officials met with Feng at his hotel in Guangzhou and asked him during a two-hour conversation who he met with in China and in Australia in the course of his research, Chen said. 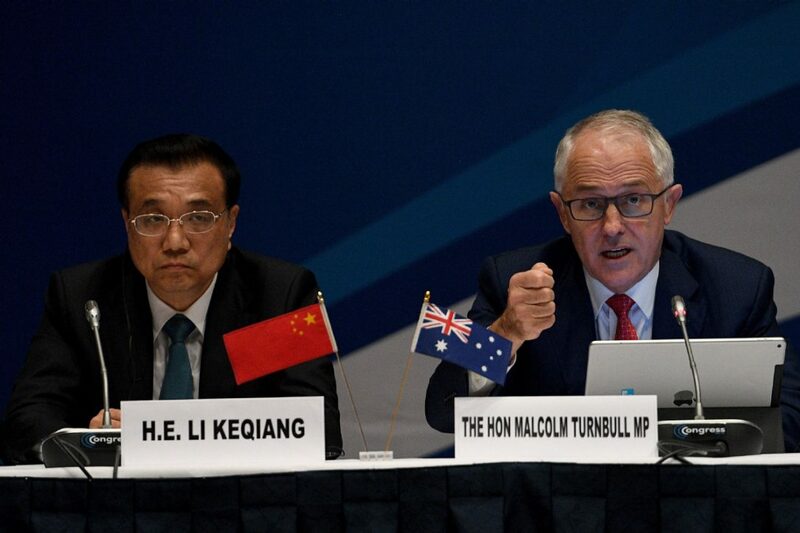 The incident unfolded as Chinese Premier Li Keqiang finished up a five-day trip to Australia, where the two countries sought to boost trade ties. Li flew to New Zealand on Sunday. Chinese authorities have staged a wide-reaching crackdown on human rights lawyers across the country since July 2015, accusing such attorneys of being a threat to national security. The chief justice said earlier this month that convictions of a prominent defense attorney and his associates caught up in the crackdown were among the country's top legal achievements last year. Others have also been arrested and accused of subversion or endangering state security. Rights groups and Western governments including the U.S. have urged China to release the activists and lawyers detained in the crackdown, while critics have said the campaign is aimed at silencing opponents of the ruling Communist Party. Feng had been studying the crackdown closely, Chen said. The University of Technology Sydney said on Monday that Feng had reassured school officials that he was OK.
"UTS has been in regular contact with Dr. Feng, who has assured the University that he is fine, and that although he is currently unable to leave China, for reasons we do not yet understand, he nonetheless has freedom of movement in China and freedom of communications," the university said in a statement. China's Ministry of Public Security and authorities in Guangzhou did not respond to repeated calls and faxed requests for comment. Feng is a permanent resident in Australia but had entered China on his Chinese passport, Chen said. This implies that in this case, Chinese authorities regard Feng as a Chinese citizen and therefore not entitled to Australian consular support. However, the academic is not being formally detained and has not been arrested, his lawyer said.